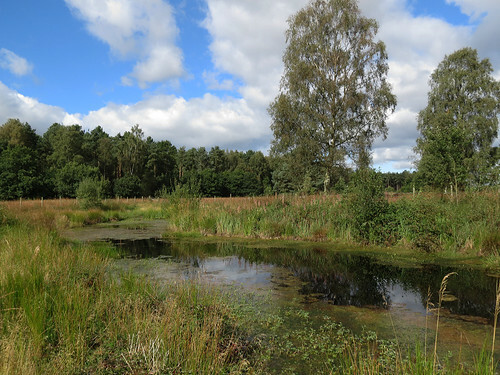 A Yorkshire Wildlife Trust Site – acidic wet/dry heath, mire, grassland and woodland with ponds. From A1079 Hull -York Road, towards Sutton-upon-Derwent and Thornton; 1st left towards Thornton. Park 1/2 mile on right. Cross road and walk track by Forest Enterprise gate. Take ride on left to junction with line of pylons. Reserve is along track on right. Grid ref SE 761475.